For those of you who still sit in front of the television set every night and weep at the loss of Meerkat Manor, I have something to say to you. Get up. Dry your tears. 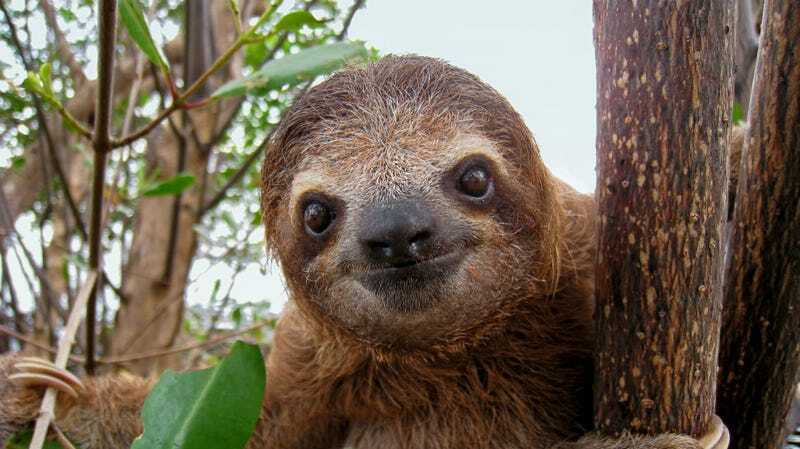 Because Meet the Sloths debuts today on Animal Planet. The eight-part “Meet the Sloths,” starting on Saturday morning, introduces some of the more than 150 animals at a sanctuary for injured and orphaned sloths in Costa Rica, investing them with humanlike personalities and small dramas. And, if you enjoy having unusual creatures inhabit your television, this could be a good month for you: “Meet the Sloths” is the first part of an accidental animal trifecta that will also give parrots and penguins some TV exposure in the next two weeks. Prepare for an emotional roller coaster that begins at endearing, dips to dismaying and finishes at ridiculous. The series premier focuses on Buttercup (!!! ), who has been lording over the rest of the slots in their sanctuary for the past 20 years. Queen Buttercup! All hail Queen Buttercup, you guise! I will be intently recapping every episode of Meet the Sloths for my blog, "People Who Freak Out and Squeal Every Single Time They See A Sloth." Please follow along if you are so inclined.